BottlesXO | It's Winesday this Week at Locke Pub in Suzhou! Suzhou | It’s Winesday this Week at Locke Pub! It’s Winesday this week at Locke Pub! 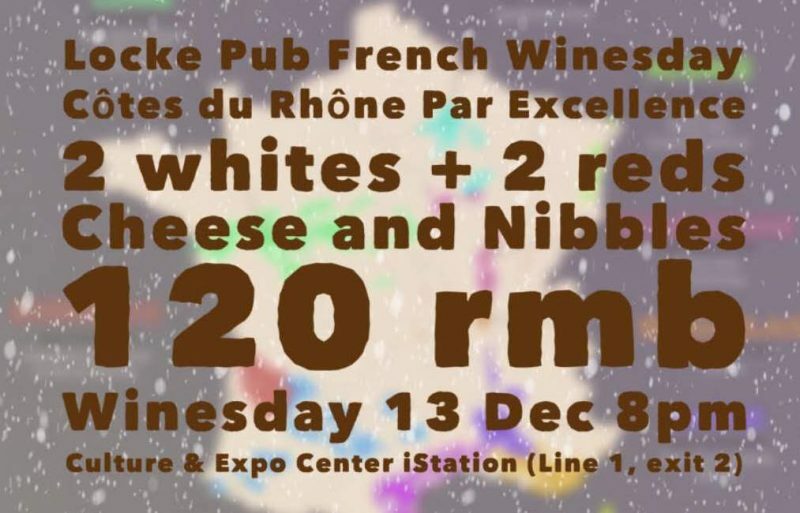 Join us on for Winesday on the 13 December at Locke Pub, where you can sample four exquisite French bites paired with cheese and other nibbles for just RMB 120. Where: Culture & Expo Center iStation (Line 1, Exit 2), Suzhou. Get these wines delivered to wherever you are in Suzhou. Download the BottlesXO wine, craft beer and spirits delivery app here.